Anonymous deserted buildings have dominated the photographic work of Efrat Shvily since she began to frame Israel's architecture in her images in the early 1990s. The buildings, so disconnected from their surroundings, point to the problematic relationship between the Israelis and their land. 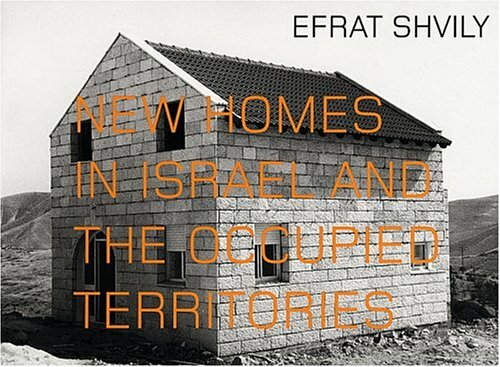 Shvily's New Homes in Israel and the Occupied Territories is a series of black-and-white photographs of houses and neighborhoods, which sometimes seem more like models than real buildings. In her desolate photos, Shvily does not make it clear whether the buildings were once inhabited and are now deserted, currently inhabited, or soon to be occupied. The series arose in reaction to the large number of new settlements that were realized in Israel in the 1990s. Perhaps because of the speed of these new developments, combined with the fact that construction projects are used as a means to occupy territory, the people who live in these places seem estranged from the land that surrounds them-a state of being that Shvily captures in her photos.